Locate the target feature and click on "Deactivate" button next to it. However, its cumbersome to repeat this activity for larger number of site collections, isn't it? 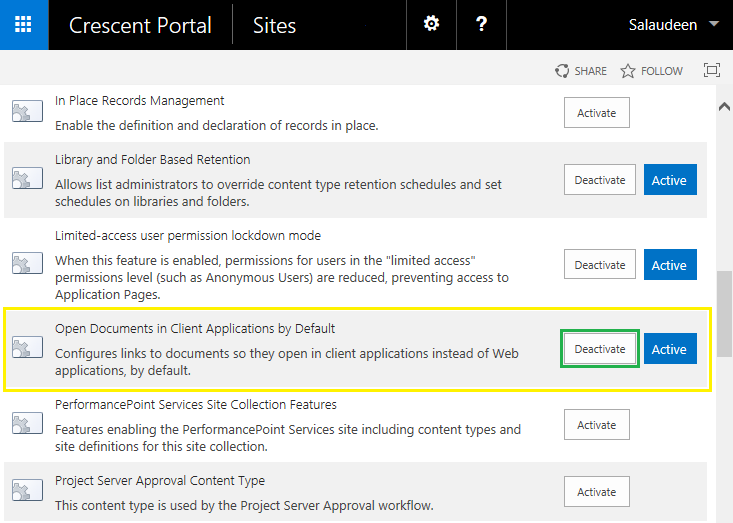 So, use these PowerShell scripts to deactivate features from all sites in SharePoint! This script deactivates the given feature id from all site collections of the entire SharePoint environment. This PowerShell script disables the given feature id from all subsites in SharePoint.